You’ve probably heard the saying “jack of all trades, master of none”, but do you know there’s an additional line? The addition of seven words turns an insult into encouragement. Fingers in lots of pies? Great! Pies are really delicious. Why stick to only one flavour? 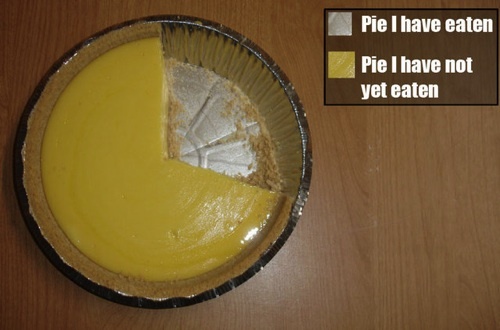 You know who’s likely to agree with my pie observation? Author, artist and entrepreneur Emilie Wapnick. “When did you learn to assign the label of ‘wrong’ or ‘abnormal’ to doing many things?” Emilie asks in her popular TEDx talk Why Some of Us Don’t Have One True Calling. According to Emilie, we learn to label diverse paths negatively when we first start to be asked “what do you want to be when you grow up?” as children. Whether our answer is “astronaut!”, “…ballet dancer?” or “definitely a super villain!”, the question itself insinuates that we must pick one career and one career only. Jack of all trades, master of none. Emilie wants to change this perception. Her own interests zigzagged wildly, from film production to law, music and visual arts. After worrying about it for a long time, she finally accepted herself as a ‘multipotentialite’, someone who has many interests and pursuits. The terms ‘scanner’, ‘Renaissance person’ and ‘polymath’ are also used to describe this attribute. If you’re someone with divergent or ever-changing interests, you might feel lonely, purposeless, or like there’s something wrong with you. There’s not! In our current specialist-focused culture, Emilie advocates for the gifts of multipotentiality: tremendous strengths, like synthesis of ideas, rapid learning and incredible adaptability. Want to find out more about multipotentiality? Check out Emilie’s blog, Puttylike. Want to be inspired by five amazing multipotentialites who have rocked the world? Read on!